The type of oil you use in the kitchen will not only affect the outcome of your meal, but it can also make a difference in your health. In general, healthy oils have more polyunsaturated and monounsaturated fats and less saturated fats. For example, olive and avocado oil are high in monounsaturated fats and canola and soy oils are high in polyunsaturated omega-3s. As far as nutrition information goes, all oils have the same number of calories—about 120 per tablespoon. Plant-based oils also have some vitamin E and K. Unrefined oils, such as extra virgin olive oil, have some antioxidants that may be part of the reason they're good for your heart health. But the main reasons oils are good or bad for your health is because of the fatty acids that make up the oil. The types of fatty acids also make a difference in how you use each of these oils. All oils are made up of varying amounts of individual fatty acids, but the easiest way to rate oils on their health benefits is by comparing the ratios of the different types. Saturated fatty acids are found in animal fats, such as butter and lard, and tropical oils, including coconut and palm oil. Current expert advice is to limit your intake of saturated fatty acids because eating a diet high in saturated fats has been linked to a higher risk of heart disease and stroke. But, it's not clear if saturated fatty acids from plant oils are bad for health or not. In fact, some people believe coconut oil has extra health benefits, although research isn't clear on that either. Some oils you keep in your kitchen are better for cooking and others are better for use in dressings or vinaigrettes. Here's a look at which oils are best suited for various cooking purposes. Typically, you only need a small amount of oil for sautéing and stir-frying, so they're both considered healthy ways to prepare a variety of meats, poultry, seafood, and veggies. For sautéing and stir-frying, you'll need an oil that has a high smoke point so you can heat it to a high temperature without making the oil bitter. Cooking oils with high smoke-points include vegetable, corn, soy, canola, peanut, grapeseed, avocado, sunflower, and safflower. Of these oils, peanut oil probably has the strongest flavor and could alter the end result. The other oils are all fairly neutral in flavor. But what about olive oil? 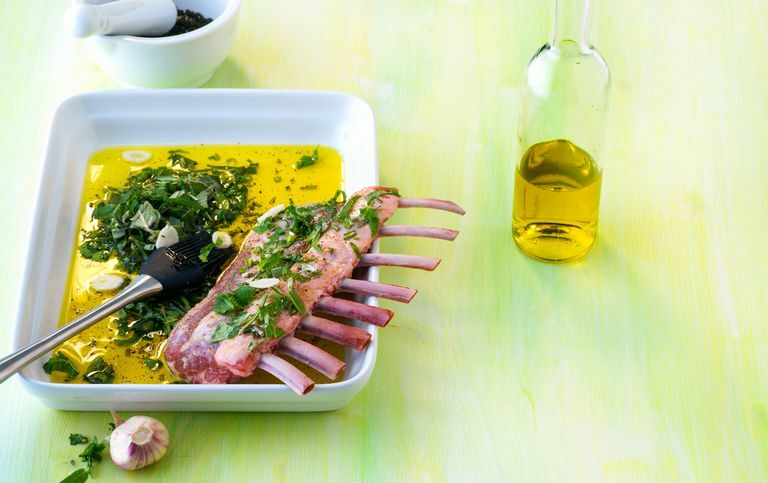 Since olive oil is thought to have health benefits, a lot of people like to stock up, but it may not be the best choice for these high-heat cooking methods because it generally has a lower smoke point, especially extra virgin olive oil. Refined, light, or pure olive oil has a higher smoke point, but still might 'burn' and become too bitter. While baked goods and casseroles aren't always the healthiest foods, some baked dishes are good for you as long as the ingredients are healthful. It's pretty easy to find oils that will work in baking. In fact, all the oils with high smoke points are suitable for cooking or baking, but you may want to keep the flavors in mind. Peanut oil, for example, may not work with some dishes. Pure refined olive oil can handle heat better than extra virgin olive oil so it's good for roasting veggies. Plus you get the hint of olive flavor added to the dish. Pure olive oil can be used in baking too, although it may alter the flavor of baked goods. While you can use any oil to make a salad dressing, using an oil with a distinctive flavor may be best. Olive oil, especially extra virgin olive oil, has a lower smoking point and stronger flavor. Although it's not a good choice for stir-frying or sautéing, it's a great choice for dressings and vinegarettes, or to drizzle on a finished dish. If you're not a fan of the flavor of olives, you can use walnut oil, which is also a good 'cold' oil. Sesame can be a good finishing oil as well because it has such a distinct aroma and flavor. Flaxseed oil is another oil that should be used cold because even a small amount of heat can ruin the oil, but its strong flavor doesn't work for everyone. Cooking oil in an essential staple for any kitchen and can be used as an ingredient or as a topping to add flavor to a dish. Since oils are high in calories, it's generally best to use them sparingly if you need to watch your weight. And one more tip: once an oil bottle is opened, store it in the refrigerator or in a dark cool place to keep it fresh as long as possible. American Heart Association. "Monounsaturated Fat." American Heart Association. "Polyunsaturated Fat." American Heart Association. "Saturated Fats: Why All the Hubbub over Coconuts?"